Hey New England, the Lombardi Trophy is coming back to Foxboro for the sixth time in the Belichick – Brady era. 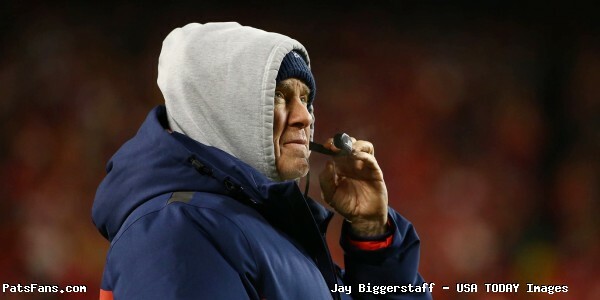 Bill Belichick weaved a masterful game plan as the Patriots turned back the clock to the days of the smashmouth years, holding the #2 scoring offense of the Rams to just three (3) points in a tremendous performance. Tom Brady put together the winning drive at crunch time, as he’s done many times before and he used the usual suspects, Rob Gronkowski, and Julian Edelman to moved down the field where Sony Michel scored the only touchdown of the Super Bowl with a 2-yard score. Edelman was the MVP of the Super Bowl with a phenomenal 10 catch, 141-yard performance. How dominant has the Patriots defense been in the playoffs? 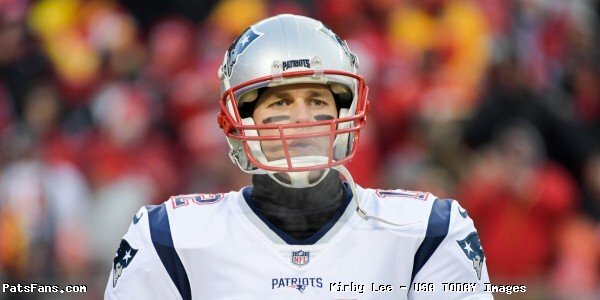 The Patriots were the only team since the 1985 Chicago Bears to hold opponents to seven points or fewer in three consecutive first halves of playoff football. And you can put the “Tomato Can” garbage to bed. The offenses of KC and the Rams were prolific scoring machines all season. Belichick and Brian Flores called a tremendous game defensively. They harassed, flummoxed and beat up Jared Goff all night long. 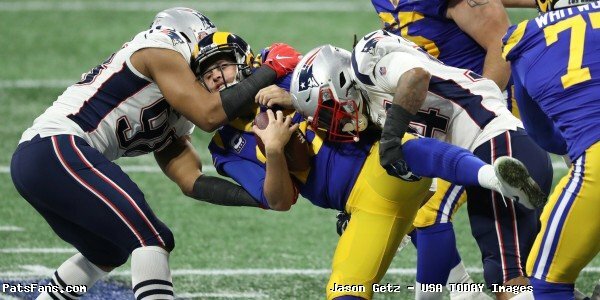 While all the talk pregame was about the Rams pass rush with Aaron Donald and Ndamukong Suh (who played very well BTW), it was the Patriots pass rush that was the game changer. They sacked Goff four times and were in his face better than half of his dropbacks. The Patriots held the Rams to just 3.4 yards per rushing attempt and just 62 yards overall on 18 carries. Todd Gurley had 11 touches (10 carries, 1 reception) for just 34 yards. 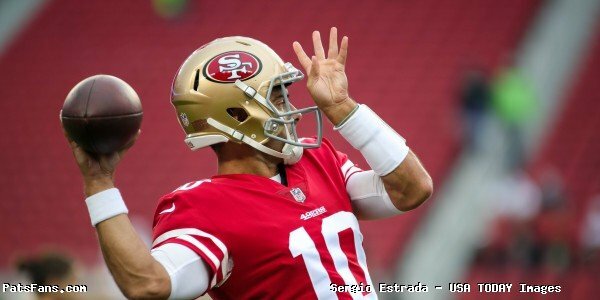 Goff finished 19 for 38 for 229 yards (198 yards net) with 0 TDs and one interception. The Rams finished just 3-13 on third down. During the playoffs, the Patriots defense allowed a grand total of just 122 yards rushing in the three games, which comes out to 40.6 yards per game. That is outstanding. With the game still in the balance, Goff had the Rams moving in the second half. With a 1st and 10 at the Patriots 29-yard line, they ran Brandin Cooks down the seam and he was wide open. But Goff was just a half-second late throwing the ball and that allowed Jason McCourty to come flying over to knock the ball away. On third down Goff was sacked for -9 yards and it forced a 53-yard Greg Zuerlein field goal to tie it up. Later after the Patriots took the lead 10-3, the Rams moved into Patriots territory but a deep pass to Cooks by Goff was influenced by Kyle Van Noy and the ball hung up in the air where Stephon Gilmore picked it off at the Patriots two. With about 10 minutes to go and the game tied, this is when great players step up to the forefront and Brady, Gronkowski and Edelman once again showed that they aren’t too old, too slow and too beat up. The Patriots went 69 yards in five plays with Sony Michel powering it in from the two-yard line for the only TD in the Super Bowl. It started with a beautiful 18-yard drop in the bucket to Gronkowski to get things going. He then hit Edelman for 13 yards and hit Rex Burkhead for seven more on a nice sideline throw. 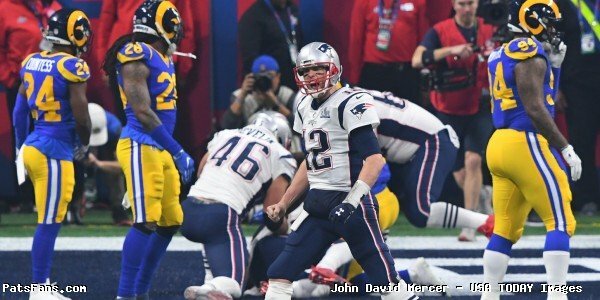 On 2nd and three from the Rams 31, Brady launched a perfect throw down the seam to Gronkowski who hauled it and went down at the two-yard line. Michel scored on the next snap. Michel ground out 94 tough yards on 18 carries. Boom game over. Edelman was easily the best offensive player on the field for either team and although Wade Phillips put an outstanding game plan of his own tonight, the Rams had no answer for Edelman. 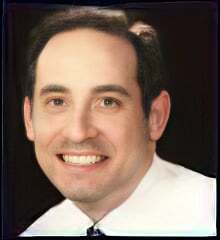 He frequently left the talker Nickell Roby-Coleman in the dust grabbing air. 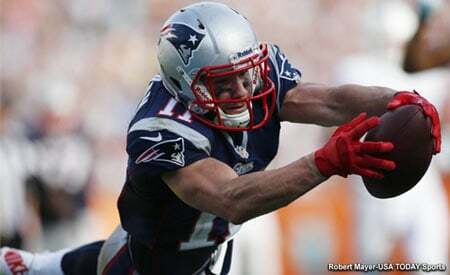 Edelman now stands second only to Jerry Rice with 1,412 receiving yards in the postseason. 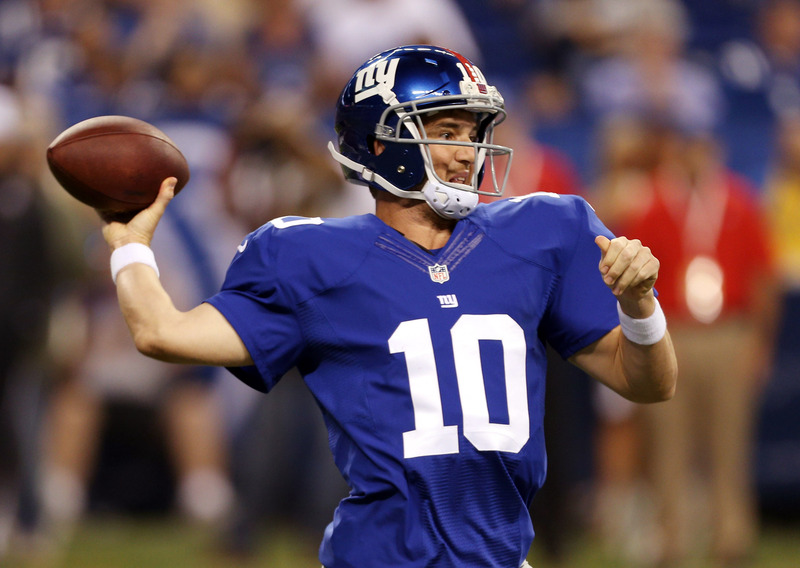 His bromance with Brady was in full-effect with Brady gushing over his buddy’s accomplishments. 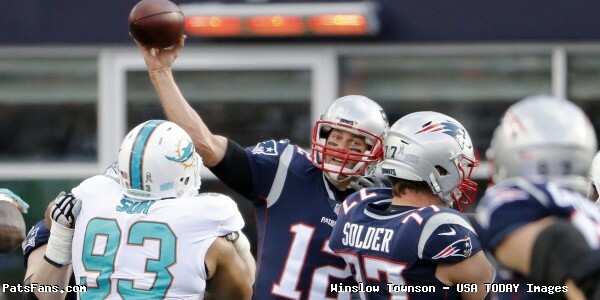 “He just played the best game he has all year,” Brady said. “He’s a fighter, man, that kid. I am just so proud of him. He’s been an incredible player for this team in the playoffs and he just cemented himself, again, in the history of the NFL for what his accomplishments are.” Gronkowski, meanwhile, ranks first among tight ends in postseason receptions (81), yards (1,163) and touchdowns (12). As Brady and Belichick celebrate with their sixth ring and Super Bowl win together, Robert Kraft summed up the win the best. Cue up the duck boats, Mahhty! We have another parade to celebrate. 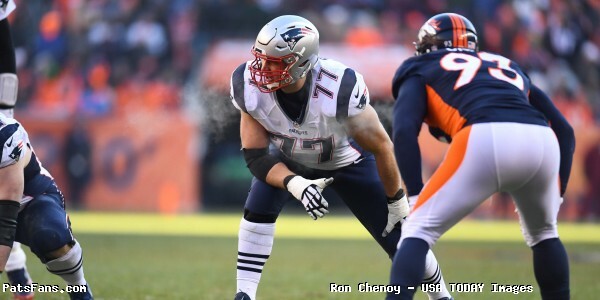 This entry was posted in 2018 Patriots playoffs, NFL Commentary, NFL News, Patriots Commentary, Patriots News, Super Bowl LIII and tagged Bill Belichick, Jared Goff, Julian Edelman, Los Angeles Rams, New England Patriots, Rob Gronkowski, Sean McVay, Sony Michel, Super Bowl LIII, Tom Brady on February 4, 2019 by Steve Balestrieri.